This edition includes new chapter openings, new sentence-style chapter headings and a new and simple tips & tricks feature that gives students easy analogies and mnemonic devices to help them remember information. Visual Essentials of Anatomy & Physiology combines a visual approach with a modular organization to deliver an easy-to-use and time-efficient book that uniquely meets the needs of today's students-without sacrificing the coverage of A&P topics required for careers in nursing and other allied health professions. This book is geared toward students enrolled in a one-semester A&P course and comes with access to MasteringA&P(R). Were you looking for the book with access to MasteringA&P? This product is the book alone, and does NOT come with access to MasteringA&P. 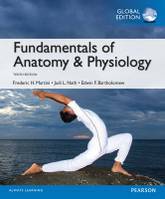 Buy Fundamentals of Anatomy & Physiology with MasteringA&P access card 10e (ISBN 9781292057606) if you need access to Mastering as well, and save money on this brilliant resource. For two-semester A&P Fundamentals of Anatomy & Physiology helps students succeed in the challenging A&P course with an easy-to-understand narrative, precise visuals, and steadfast accuracy. Every chapter of the Tenth Edition includes one- and two-page Spotlight Figures that seamlessly integrate text and visuals to guide students through complex topics and processes. 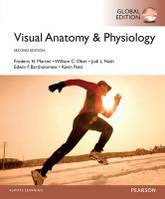 These highly visual presentations incorporate, for select topics, the visual approach that the same author team created in their Visual Anatomy & Physiology book. New Clinical Cases open every chapter and get students thinking about the chapter content in the context of a personal compelling patient story. This program presents a better teaching and learning experience-for you and your students. It provides: *Text-art Integration: The popular one- and two-page Spotlight Figures and other figure types seamlessly integrate text and visuals to guide students through complex topics and processes. Students study the Spotlight Figures in the book, and then instructors can assign them in MasteringA&P. *Story-based Clinical Content: Motivate students for their future careers with the new Clinical Cases. Students read the Clinical Cases in the book, and then instructors can assign them, which are also assignable in MasteringA&P. *Time-saving Navigation and Study Tools: Enable students to better navigate difficult A&P topics This product is the book alone, and does NOT come with access to MasteringA&P. MasteringA&P is an online homework, tutorial, and assessment product designed to improve results by helping students quickly master concepts. Students benefit from self-paced tutorials that feature immediate wrong-answer feedback and hints that emulate the office-hour experience to help keep students on track. With a wide range of interactive, engaging, and assignable activities, students are encouraged to actively learn and retain tough course concepts. 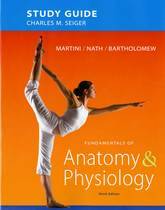 You can benefit from MasteringA&P at a reduced price by purchasing a pack containing a copy of the book and an access card for MasteringA&P: Fundamentals of Anatomy & Physiology with MasteringA&P access card 10e (ISBN 9781292057606). Alternatively, buy access to MasteringA&P and the eText - an online version of the book - online at www.masteringa&p.com. For educator access, contact your Pearson Account Manager. To find out who your account manager is, visit www.pearsoned.co.uk/replocator MasteringA&P(R) is not included. Students, if MasteringA&P is a recommended/mandatory component of the course, please ask your instructor for the correct ISBN and course ID. MasteringA&P should only be purchased when required by an instructor. Instructors, contact your Pearson representative for more informaiton.  ALERT: Before you purchase, check with your instructor or review your course syllabus to ensure that you select the correct ISBN. Several versions of Pearson's MyLab & Mastering products exist for each title, including customized versions for individual schools, and registrations are not transferable. In addition, you may need a CourseID, provided by your instructor, to register for and use Pearson's MyLab & Mastering products. Packages Access codes for Pearson's MyLab & Mastering products may not be included when purchasing or renting from companies other than Pearson; check with the seller before completing your purchase. Used or rental books If you rent or purchase a used book with an access code, the access code may have been redeemed previously and you may have to purchase a new access code. Access codes Access codes that are purchased from sellers other than Pearson carry a higher risk of being either the wrong ISBN or a previously redeemed code. Check with the seller prior to purchase. 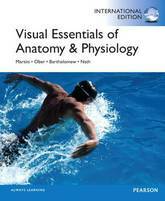 --Visual Anatomy & Physiology combines a visual approach with a modular organization and frequent practice. Martini and Ober deliver an easy-to-use and time-efficient book that uniquely meets the needs of today's students-without sacrificing the coverage of A&P topics required for careers in nursing and other allied health professions. A Visual Approach to Two-Semester A&P Visual Anatomy & Physiology combines a visual approach with a modular organization to deliver an easy-to-use and time-efficient book that uniquely meets the needs of today's students-without sacrificing the comprehensive coverage of A&P topics required for careers in nursing and other allied health professions. 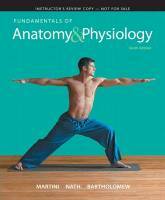 The Second Edition addresses tough physiology topics with new and revised two-page modules. Brand-new end-of-chapter study and practice materials include a narrative Study Outline and comprehensive Chapter Review Questions. Module Reviews and Section Reviews, appearing throughout each chapter, give students additional tools for learning. In response to the strong demand from A&P instructors, a brand-new Visual Anatomy & Physiology Lab Manual uses the same visual approach and modular organization to help students succeed in the lab. This program presents a better teaching and learning experience by providing: A visual approach and modular organization: The two-page modules seamlessly integrate text and visuals to guide students through complex topics and processes with no page flipping. The addition of new content in select modules gives students a better understanding of physiology. Frequent practice: Review questions at the end of each module, section, and chapter encourage and support student practice. In the Second Edition, the Chapter Review includes a new narrative Study Outline and new comprehensive Chapter Review questions. Students can continue practicing with MasteringA&P. Learning outcomes that tightly coordinate with teaching points: The clean one-to-one correspondence between the numbered chapter-opening Learning Outcomes and the numbered two-page modules give students an easy learning path and instructors an easy vehicle for assessment. Streamlined learning in the lab: The new Visual Anatomy & Physiology Lab Manual uses the same visual approach and modular organization to help students succeed in the lab. Personalized learning with MasteringA&P: Engage students with new tough topic Coaching Activities and a wide range of other question and activity types-all automatically graded. Note: You are purchasing a standalone product; MasteringA&P does not come packaged with this content. MasteringA&P is not a self-paced technology and should only be purchased when required by an instructor. 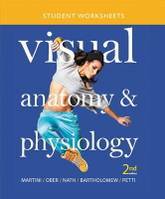 This workbook accompanies the Martini/Ober/Nath Visual Anatomy & Physiology textbook. It gives you space outside the textbook to complete the Seciton Review pages and to practice with the Visual Outline with Key Terms. Every Section Review from each chapter of Visual Anatomy & Physiology is reproduced twice to give you multiple opportunities to practice. Complete each Secion Review once while reading the chapter and again right abefore your exam to help you review the material. Answers to the Section Reviews are included at the back of the workbook. The Visual Outline with Key Terms at the end of each chapter of Visual Anatomy & Physiology is reprinted with space for you to summarize the content of each module, in your own words, using the terms in the order provided. 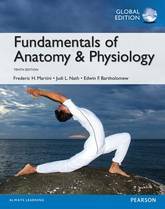 This package includes a physical copy of Fundamentals of Anatomy & Physiology, 10e by Martini as well as access to the eText and MasteringA&P. Your instructor will need to provide you with a course ID in order for you to access the eText and Mastering. For two-semester A&P Fundamentals of Anatomy & Physiology helps students succeed in the challenging A&P course with an easy-to-understand narrative, precise visuals, and steadfast accuracy. Every chapter of the Tenth Edition includes one- and two-page Spotlight Figures that seamlessly integrate text and visuals to guide students through complex topics and processes. 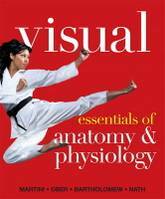 These highly visual presentations incorporate, for select topics, the visual approach that the same author team created in their Visual Anatomy & Physiology book. New Clinical Cases open every chapter and get students thinking about the chapter content in the context of a personal compelling patient story. This program presents a better teaching and learning experience-for you and your students. It provides: Text-art Integration: The popular one- and two-page Spotlight Figures and other figure types seamlessly integrate text and visuals to guide students through complex topics and processes. Students study the Spotlight Figures in the book, and then instructors can assign them in MasteringA&P. Story-based Clinical Content: Motivate students for their future careers with the new Clinical Cases. Students read the Clinical Cases in the book, and then instructors can assign them, which are also assignable in MasteringA&P. Time-saving Navigation and Study Tools: Enable students to better navigate difficult A&P topics MasteringA&P is an online homework, tutorial, and assessment product designed to improve results by helping students quickly master concepts. Students benefit from self-paced tutorials that feature immediate wrong-answer feedback and hints that emulate the office-hour experience to help keep students on track. With a wide range of interactive, engaging, and assignable activities, students are encouraged to actively learn and retain tough course concepts. For two-semester A&P Fundamentals of Anatomy & Physiology helps students succeed in the challenging A&P course with an easy-to-understand narrative, precise visuals, and steadfast accuracy. Every chapter of the Tenth Edition includes one- and two-page Spotlight Figures that seamlessly integrate text and visuals to guide students through complex topics and processes. These highly visual presentations incorporate, for select topics, the visual approach that the same author team created in their Visual Anatomy & Physiology book. New Clinical Cases open every chapter and get students thinking about the chapter content in the context of a personal compelling patient story. The Tenth Edition integrates book content with MasteringA&P(R), through expanded Coaching Activities, which personalize learning and coach students toward understanding and mastery of tough A&P topics. This program presents a better teaching and learning experience-for you and your students. It provides: * Text-art Integration: The popular one- and two-page Spotlight Figures and other figure types seamlessly integrate text and visuals to guide students through complex topics and processes. Students study the Spotlight Figures in the book, and then instructors can assign them in MasteringA&P. * Story-based Clinical Content: Motivate students for their future careers with the new Clinical Cases. Students read the Clinical Cases in the book, and then instructors can assign them, which are also assignable in MasteringA&P. * Time-saving Navigation and Study Tools: Enable students to better navigate difficult A&P topics through both the book and MasteringA&P. This title is available with MasteringA&P, an online homework, tutorial, and assessment product designed to work with your Pearson text to personalize learning and improve results. With a wide range of interactive, engaging, and assignable activities, students are encouraged to actively learn and retain tough course concepts. Students, if interested in purchasing this title with MasteringA&P, ask your instructor for the correct package ISBN. Instructors, contact your Pearson representative for more information. Visual Essentials of Anatomy & Physiology combines a visual approach with a modular organization to deliver an easy-to-use and time-efficient book that uniquely meets the needs of today's students-without sacrificing the coverage of A&P topics required for careers in nursing and other allied health professions. This book is geared toward students enrolled in a one-semester A&P course and comes with access to MasteringA&P (R). For courses in two-semester A&P. Using Art Effectively to Teach the Toughest Topics in A&P Fundamentals of Anatomy & Physiology helps students succeed in the challenging A&P course with an easy-to-understand narrative, precise visuals, and steadfast accuracy. With the 11th Edition, the author team draws from recent research exploring how students use and digest visual information to help students use art more effectively to learn A&P. New book features encourage students to view and consider figures in the textbook, and new narrated videos guide students through complex physiology figures to help them deconstruct and better understand complicated processes. Instructors can also request a new handbook by Lori Garrett, entitled The Art of Teaching A&P: Six Easy Lessons to Improve Student Learning, which explores some of the most common challenges encountered when using art to teach A&P, alongside strategies to address these challenges. Pearson Mastering (TM) Anatomy & Physiology not included. Students, if Pearson Mastering (TM) Anatomy & Physiology is a recommended/mandatory component of the course, please ask your instructor for the correct ISBN and course ID. Pearson Mastering (TM) Anatomy & Physiology should only be purchased when required by an instructor. Instructors, contact your Pearson representative for more information. Pearson Mastering (TM) Anatomy & Physiology is an online homework, tutorial, and assessment product designed to engage students and improve results by helping students stay on track in the course and quickly master challenging A&P concepts. Features in the text are supported Pearson Mastering (TM) Anatomy & Physiology assignments, including new SmartArt Videos, Interactive Physiology 2.0, Dynamic Study Modules, Learning Catalytics, Spotlight Figure Coaching Activities, lab study tools, Get Ready for A&P, plus a variety of Art Labeling Questions, Clinical Application Questions, and more. For courses in two-semester A&P. Using Art Effectively to Teach the Toughest Topics in A&P Fundamentals of Anatomy & Physiology helps students succeed in the challenging A&P course with an easy-to-understand narrative, precise visuals, and steadfast accuracy. With the 11th Edition, the author team draws from recent research exploring how students use and digest visual information to help students use art more effectively to learn A&P. New book features encourage students to view and consider figures in the textbook, and new narrated videos guide students through complex physiology figures to help them deconstruct and better understand complicated processes. Instructors can also request a new handbook by Lori Garrett, entitled The Art of Teaching A&P: Six Easy Lessons to Improve Student Learning, which explores some of the most common challenges encountered when using art to teach A&P, alongside strategies to address these challenges. Pearson MasteringTM A&P not included. Students, if Mastering is a recommended/mandatory component of the course, please ask your instructor for the correct ISBN and course ID. Mastering should only be purchased when required by an instructor. Instructors, contact your Pearson rep for more information. 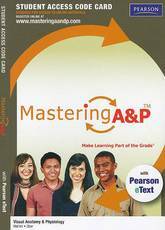 Pearson MasteringTM A&P is an online homework, tutorial, and assessment product designed to engage students and improve results by helping students stay on track in the course and quickly master challenging A&P concepts. Features in the text are supported by Mastering A&P assignments, including new SmartArt Videos, Interactive Physiology 2.0, Dynamic Study Modules, Learning Catalytics, Spotlight Figure Coaching Activities, lab study tools, Get Ready for A&P, plus a variety of Art Labeling Questions, Clinical Application Questions, and more. This package includes Mastering A&P. Using Art Effectively with the Most Visual Approach to A&P Visual Anatomy & Physiology combines a one-of-a-kind visual approach with a modular organization that uniquely meets the needs of today's students-without sacrificing the comprehensive coverage of A&P topics required for careers in nursing and other allied health professions. The 3rd Edition presents key new features based on recent research about how students use and digest visual information. New modules in the first chapter emphasize how to use art effectively when studying; new Integrated Figure Questions increases the likelihood that students will spend time viewing the art and prompts them to consider what they have just learned; and new SmartArt Videos, accessible via QR code in the book, help students navigate key, complex pieces of art on some of the toughest topics. New Interactive Physiology 2.0 tutorials and SmartArt Video Activities expand the options for students to use Mastering (TM) A&P as an effective practice and learning tool. This package includes Mastering (TM) A&P, an online homework, tutorial, and assessment program designed to engage students and improve results. Instructors ensure that students arrive ready to learn by assigning educationally effective content before class, and encourage critical thinking and retention with in-class resources such as Learning Catalytics (TM). Students can further master concepts after class through assignments that provide hints and answer-specific feedback. With a wide range of activities available, students can actively learn, understand, and retain even the most difficult concepts. Mastering A&P should only be purchased when required by an instructor. Please be sure you have the correct ISBN and Course ID. Instructors, contact your Pearson rep for more information.